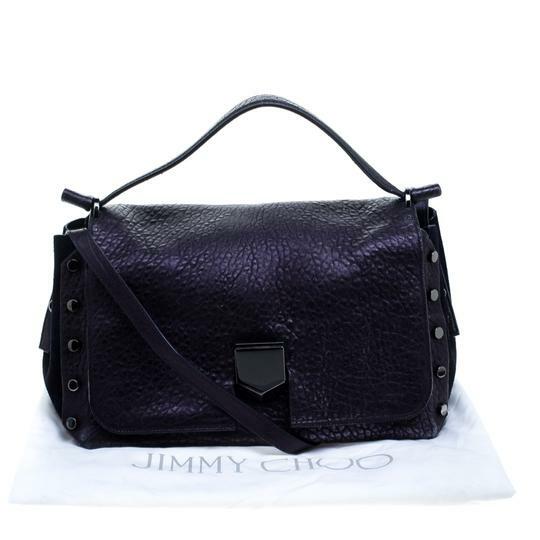 This Jimmy Choo Medium Lockett satchel is both practical and stylish! 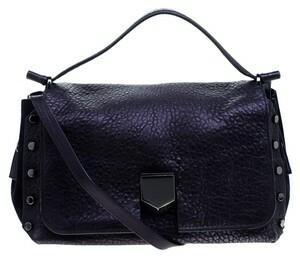 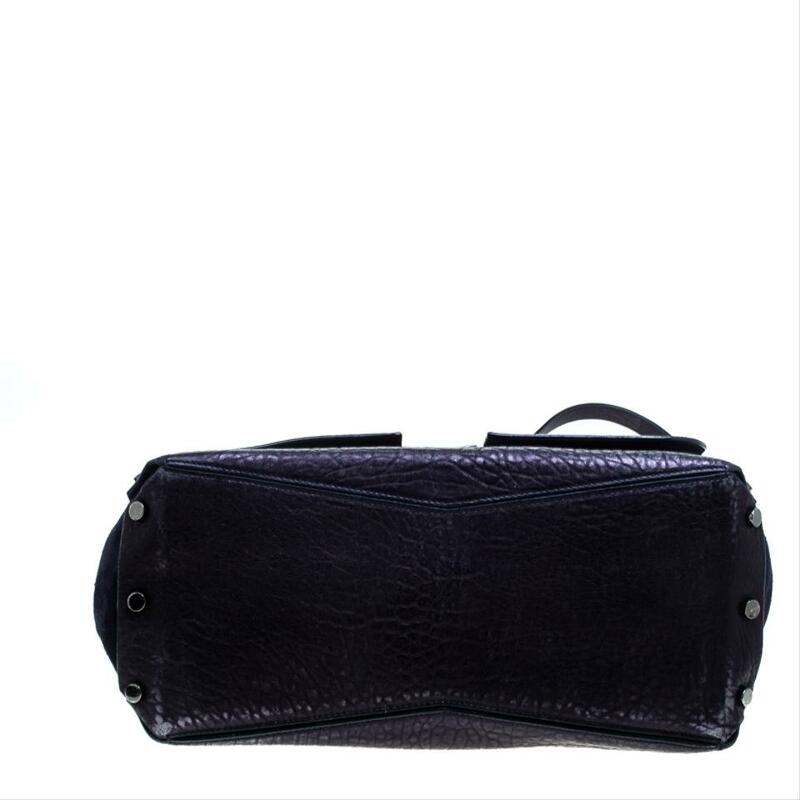 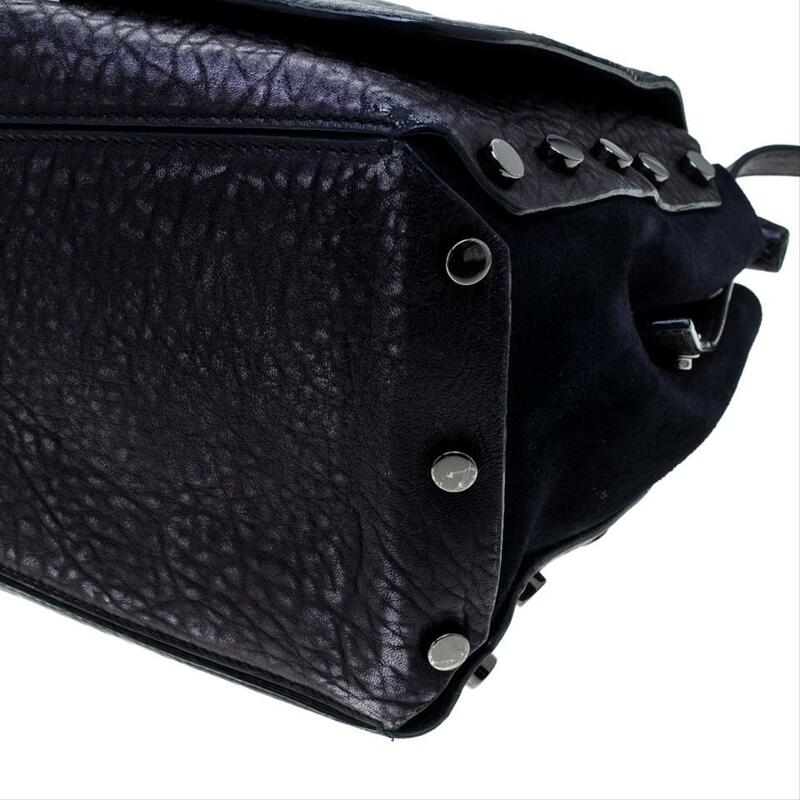 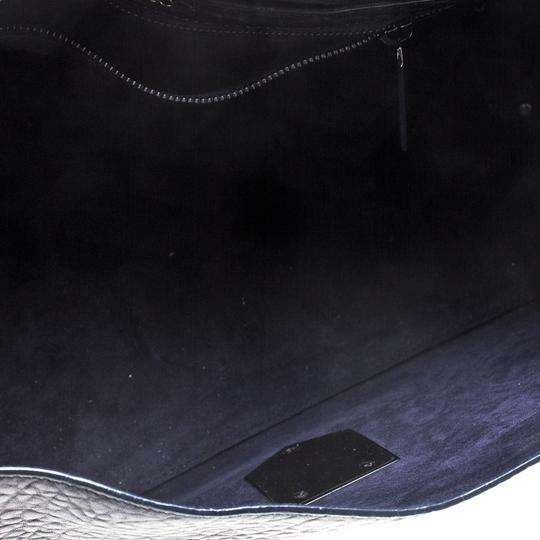 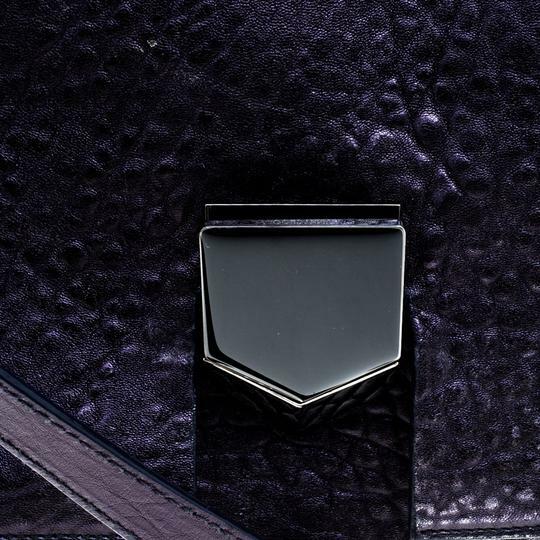 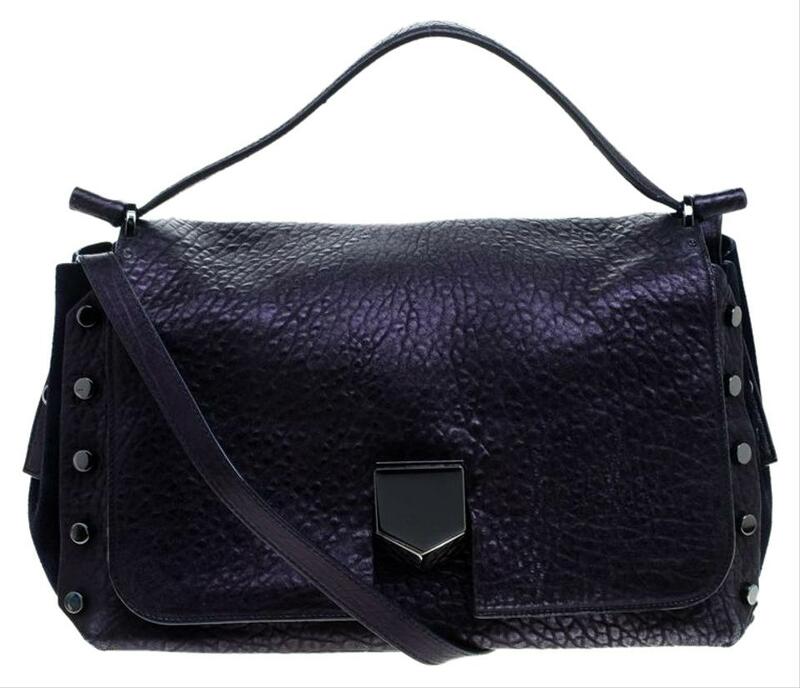 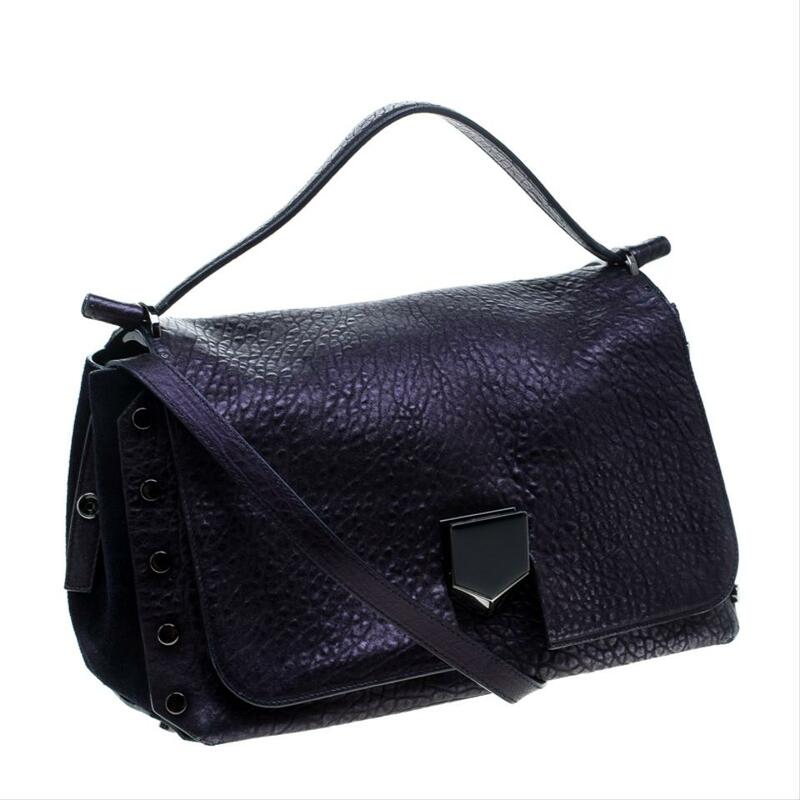 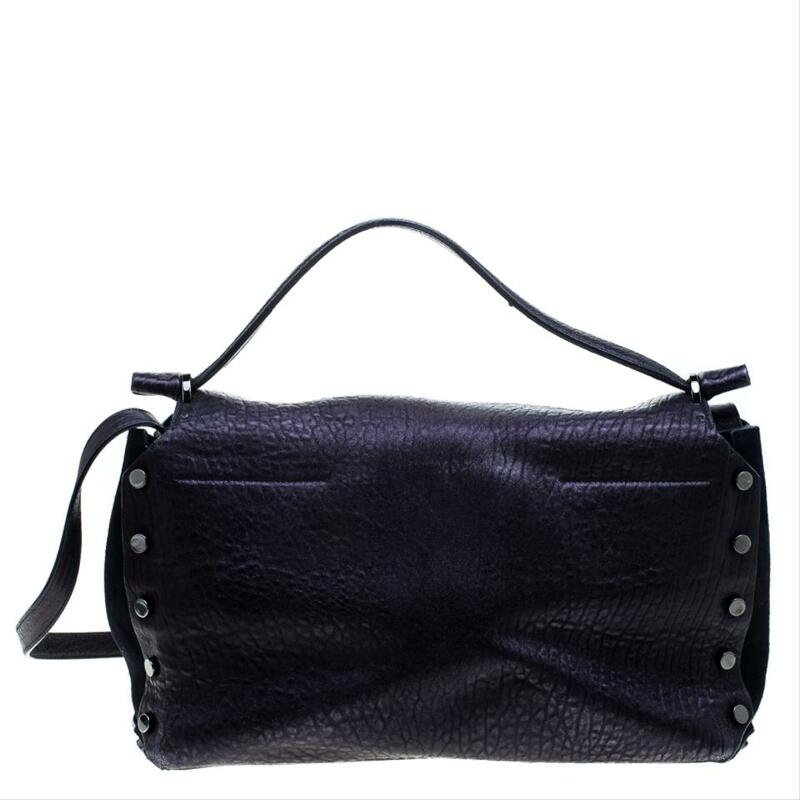 Crafted from grainy purple leather, this bag is designed in a flap style and is brilliantly detailed with black-tone studs. 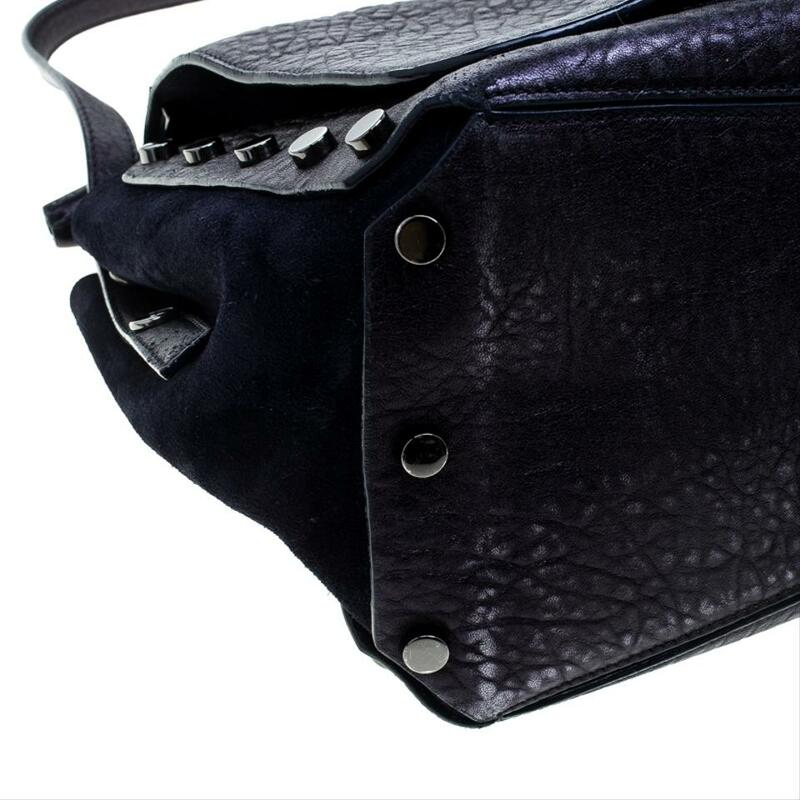 Equipped with a single top handle and a long shoulder strap, this satchel is lined with suede and features a single zip pocket making it a perfect party companion for you!